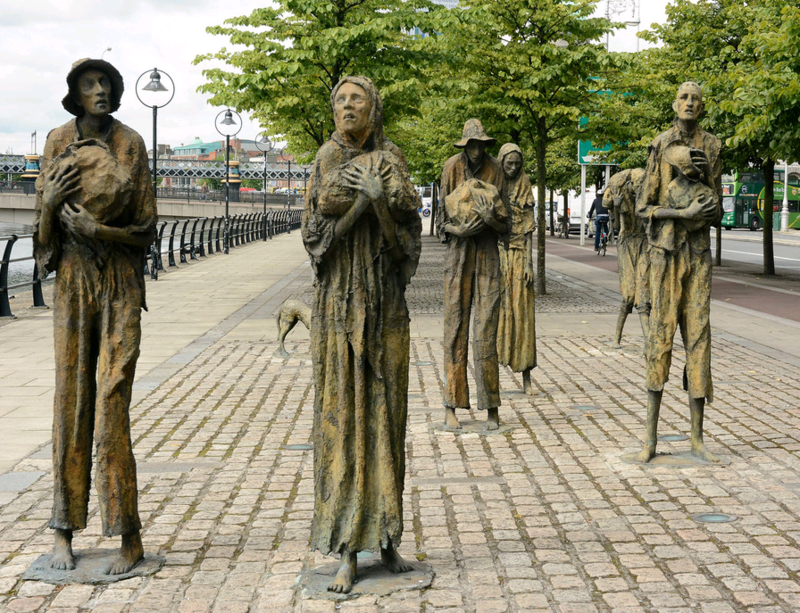 The synopsis taught in Irish schools of the demographic impact of the Great Hunger that devastated Ireland from 1845-52 is as follows: 1 million dead, 2 million emigrants. 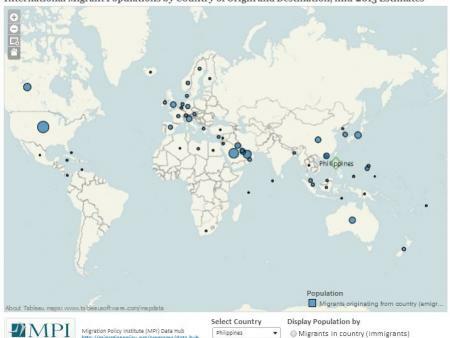 Is it a general rule that famines generate mass migration or was Ireland the exception? Remarkably, despite long-standing demographic research into famine and intensive current interest in migration, there is no definitive answer. But there is urgent policy interest in the link between mass starvation and migration. After decades in which famines had declined almost to vanishing point, 2017 and 2018 have witnessed their disturbing return, perhaps most starkly surrounding the war-induced starvation unfolding in Yemen. Meanwhile, Venezuela’s economic collapse and the government's highly selective allocation of food and other essentials are causing unprecedented mass migration to the country’s Latin American neighbors, with reports of severe malnutrition and deaths from starvation. Note: Data include instances of great famine and forcible mass starvation in which the death toll exceeded 100,000. Source: World Peace Foundation, Tufts University, “Famine Trends Dataset,” accessed October 29, 2018. Available online. Which people are most likely to migrate during a famine? Where do they go and for how long? Does migration mitigate starvation or worsen it? What factors determine its effectiveness as an escape? And how do conflict, politics, and political instability complicate the relationship between famine and population movements? To pose the question within a more concrete context: with the ongoing war in Yemen, for instance, what might be the humanitarian and development implications of famine-induced migration for the Middle East and Europe? However, a literature review by the authors of this article shows that these generalizations are not based on an inductive comparison of findings across a wide range of cases. The current state of research does not allow them to be. Just a handful of historical famines and their migratory dynamics—most notably Ireland and some other 19th century European and South Asian famines—have been studied with significantly more rigor than others. And these studies’ findings do not always correspond to the points above. Famines and their patterns of migration depend upon the specific socioeconomic context, levels of infrastructure and technology, and the decisions of political and military leaders. War-famines are conspicuously under-researched—but these are the most common kind faced today. The lack of uniform and systematic research across cases at the aggregate level is thus compounded by the complexity of socioeconomic and political forces shaping the famine-migration nexus. ---. 2017. Mass Starvation: The History and Future of Famine. Cambridge, UK and Medford, MA: Polity Press. ---. 2018. Yemen Food Security Alert. October 24, 2018. Available online. Food and Agriculture Organization (FAO). 2017. Global Early Warning - Early Action Report on Food Security and Agriculture, January – March 2017. Available online. ---. 2018. FAO and IOM Boost Cooperation on Migration. FAO news article, January 24, 2018. Available online. ---. 2018. Global Early Warning - Early Action Report on Food Security and Agriculture, January – March 2018. Available online. Global Compact for Safe, Orderly and Regular Migration - Final Draft (11 July 2018). 2018. Available online. ---. 2014. Food Scarcity and Migration: An Overview. Social Research: An International Quarterly 81 (2): 277–98. Batul K. Sadliwala holds a master’s degree from the Fletcher School of Law and Diplomacy at Tufts University, where she studied conflict resolution and NGO management. She has worked with civil-society organizations in Kuwait and her research interests include migration policy, citizenship, conflict, and development. Alex de Waal is Executive Director of the World Peace Foundation and Professor at the Fletcher School of Law and Diplomacy. He has been researching famine since the 1980s, as well as conflict, humanitarian action, and peacemaking in Africa. His latest book is Mass Starvation: The History and Future of Famine (Polity Press 2017).